Hiring a house cleaning service is one of the easiest ways to simplify your life. When your home is clean and organized, you’ll find that life just seems a whole lot better. 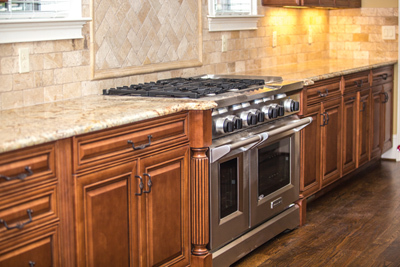 Image Maids is an Alpharetta house cleaning company that can transform your home from dirty and dingy to sparkling and delightful in no time. Residential cleaning is our specialty, so don’t spend any more time scrubbing and stressing… just let us do the work for you! Did you know? Alpharetta is the 4th best southern city to live in according to Southern Living. If you are one of the many working families that call Alpharetta home you can trust Image Maids to do the housekeeping for you. Almost 65,000 residents in the city and almost one third of those have kids 18 and under. You can have more family time by letting Image Maids do your home cleaning. Image Maids is a family-owned business that has been built upon strong values of dependability and integrity. We love what we do, so it shows up in our work and through our dedicated team of employees. There’s nothing that makes us happier than seeing your home shine when we’re finished. We can get you set up on an affordable weekly cleaning schedule, or just come out to do a deep clean once a month. Since we work with a variety of homeowners in North Fulton County that have a diverse range of house cleaning needs, it’s easy for us to customize a cleaning plan just for you. Check out our Deluxe Image Cleaning Service, Basic Image Cleaning Service, Core Image Cleaning Service, and Move-In/Move-Out Cleaning Service packages to get an idea of the range of cleaning services we provide. Although, our house cleaning services don’t stop there. Fill out our estimate form, and we will contact you to fill you in on all of the specifics. We can give you more time to spend doing the things you love with the people you love. We can give you a way to make your life simpler and easier. We can clean take care of all those cleaning projects you’ve been putting off. Don’t wait to get started on an Image Maids cleaning schedule. Fill out our free estimate form today, and ask about our $104 per hour special for all new customers! Now that you’ll have extra time to spend with family and friends, you can explore some of the local landmarks and institutions in the Alpharetta, Georgia area. Alpharetta proudly boasts some of the top schools, technology companies, and parks in the state. The City of Alpharetta and Rotary Club of Alpharetta will host the 3rd Annual Memorial Day Tribute on Monday, May 29 at 9:30 a.m. at Alpharetta City Hall, 2 Park Plaza. The event is free for the public to attend. Webb Bridge Middle School: Part of the Fulton County School System, Webb Bridge Middle School was named to the National Blue Ribbon School Program in 2010. The National Blue Ribbon School Program sets a standard of excellence for schools that strive for the highest level of achievement. 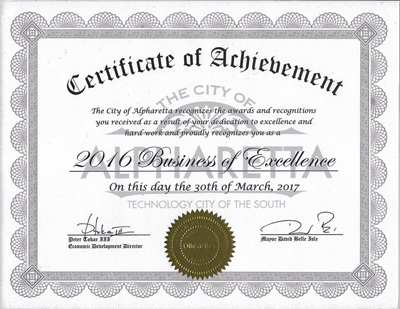 Agilysys: Named one of the “Top 40 Innovative Technology Companies in Georgia” by The Technology Association of Georgia, Agilysys is based in Alpharetta. Wills Park and Equestrian Center: The equestrian-loving crowd can attend a horse show or rodeo in the heart of Wills Park at the Equestrian Center, while kids of all ages can slide and swing at one of three playgrounds at Wills Park. The historic Mansell House and Gardens, located within the park, is also a popular venue for special events. Very easy to schedule and they did a great job! New to the area and was referred to Image Maids by a co-worker. I could not be more impressed with the service I received by their crew. They were very professional, efficient and pleasant to have clean my home. They really worked hard to bring my home up to where it should be. Thank you!